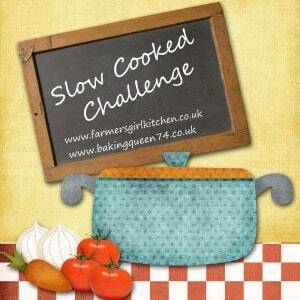 This month the theme for the Slow Cooked Challenge over with Janice from Farmersgirl Kitchen is Rice and Grains. I’ve only tried a risotto once in the slow cooker, and it was partly extremely soggy and partly still hard, so not successful at all! So I thought I might avoid rice this time and try a different kind of grain. In the supermarket many of the grains I looked at only needed a short cooking time (things like buckwheat, couscous and so on) and so a long cooking time wouldn’t really work for them. Pearl barley though is a grain I’ve used in lamb stews I’ve cooked in casserole dishes in the oven before, so I knew it could handle a longer cooking time. I remembered a recipe in the book Slow Cooked by Miss South (check out her blog too) for a pearl barley risotto, or orzotto (orzo is the Italian word for barley), with beetroot. 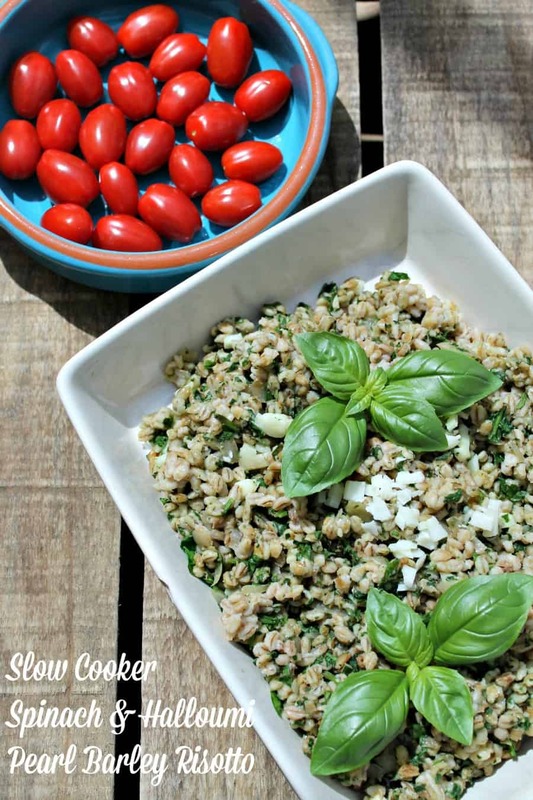 I decided to take inspiration from that recipe and make a pearl barley risotto with a similar base, using the ingredients in my fridge. A bag of spinach waiting to be used up and some light halloumi with mint caught my eye so these would go in too. 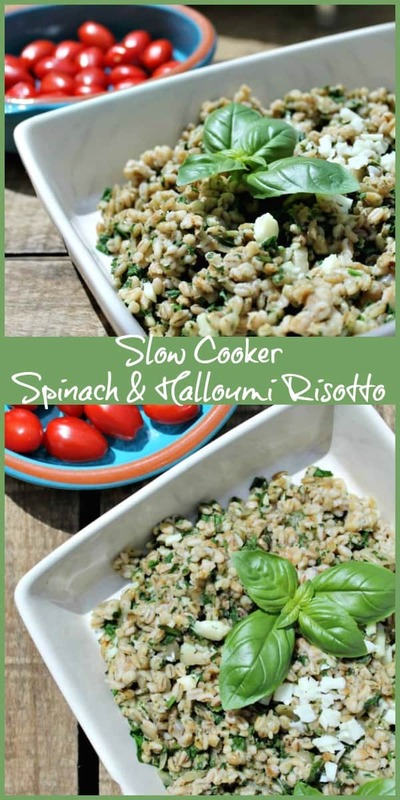 Read on for my recipe for slow cooker spinach and halloumi pearl barley risotto! Pearl barley doesn’t go soggy even if cooked for a long time as here. It retains a nice bite which is great and has a delicate nutty flavour. 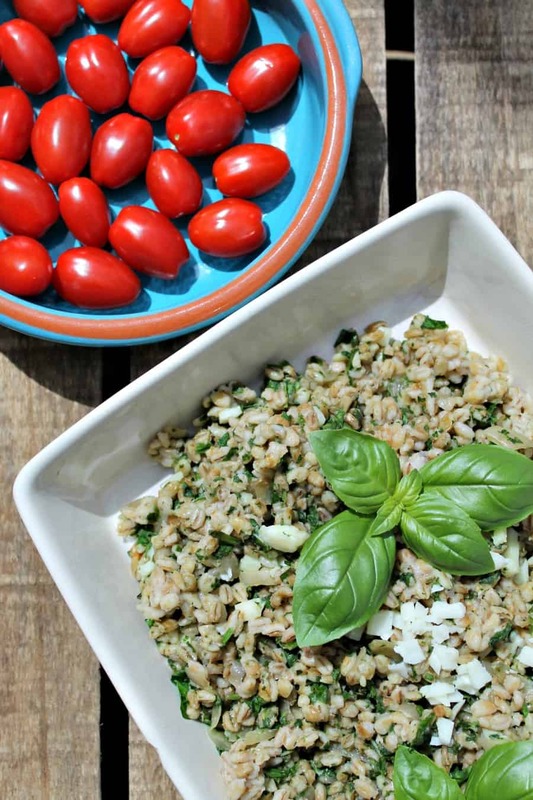 So it works well in this pearl barley risotto dish. 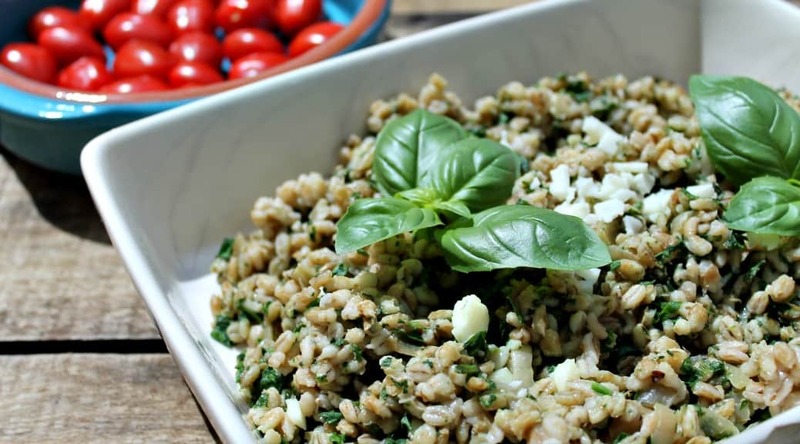 It is easy to prepare, simply add the pearl barley to the slow cooker along with some onion, garlic and herbs for flavouring and cook on low for 5 to 6 hours. Then stir through chopped spinach and halloumi. This risotto was delicious warm served with avocado, mozzarella and salad on the side. I’ll also be using the rest up cold in salads over the next few days. It also works well as a side dish to hot dishes like chilli, or alongside shredded meat. So you can also have it as a side to other slow cooker dishes. Place the onion, garlic, pearl barley and vegetable stock in the slow cooker. Cook on low for 5-6 hours, keeping an eye on the pot at the end of cooking to check for sticking. 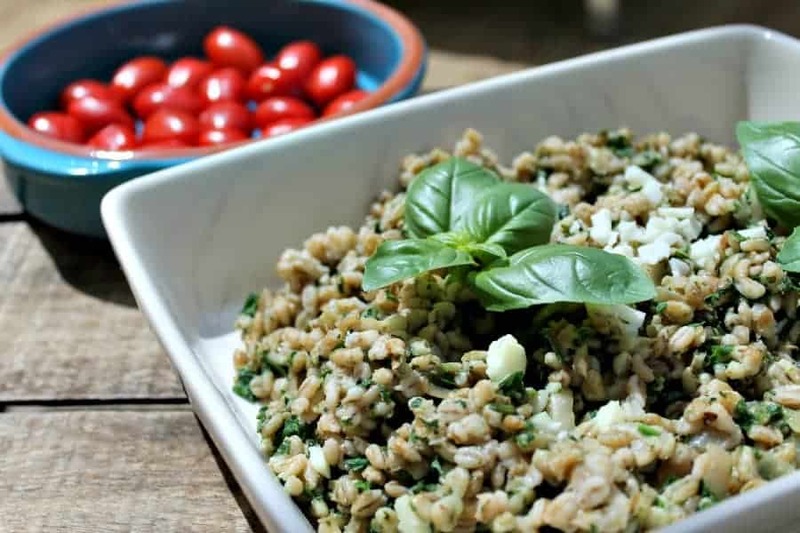 Chop the spinach finely and stir it through the pearl barley. Dice the halloumi and stir it through as well reserving some to place on top. Season with pepper and serve as a light meal with salad. Sending this over to the Slow Cooked Challenge hosted by Janice this month, with the theme of rice and grains. A great theme which made me cook something a bit different! Also linking up with Meat Free Mondays with Jac from Tinned Tomatoes. I love haolummi 😀 Will definitely try this one. 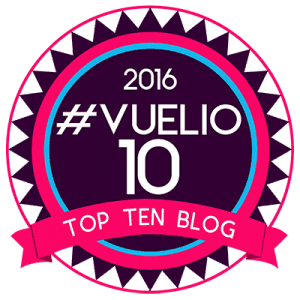 I love checking out your blog and seeing all the fab thing you can make in a slow cooker. Yes please to this risotto. This looks fantastic! 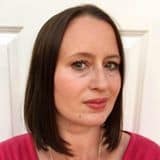 I’m so loving the idea of slow cooker rice pud – I had a go at a sweet one today with your challenge in mind but need to attempt again to get consistency right before blogging it. Hope I can meet the deadline! Thanks Katie, me neither but now I know it is tasty I definitely will use it again!